Saturday night, the Seattle Seahawks travel from Washington State to Texas where they will take on the Dallas Cowboys. Dallas won the NFC East division with a 10-6 record while Seattle earned the top wild-card spot in the NFC with an identical 10-6 mark. These two teams met earlier in the season in Seattle, a game the Seahawks won on September 23, 24-13. The Seattle Seahawks may have finished three games behind the Los Angeles Rams for the NFC West title, but they played their best football of the season down the stretch, going 6-1 in the final seven games. That included victories over the Kansas City Chiefs, Minnesota Vikings, Carolina Panthers, and Green Bay Packers. Seattle rode an impressive running attack behind Chris Carson, who rushed for 447 yards over the final four weeks of the season. Carson finished the season with 1151 yards rushing and nine touchdowns, averaging 4.7 yards per carry. The Seattle running back became the surprise story of the season after rushing for 208 yards in four games in 2017. The Seahawks got another All-Pro performance out of quarterback Russell Wilson in 2018. Wilson threw for 3448 yards and 35 touchdowns, a single season-high. He was sacked 51 times, another career-high the season, and his ability to scramble and make plays when the offensive line breaks down is going to be a key factor in this contest. Seattle average 26.8 points per game while giving up on average 21.7 points per contest. They recorded 353.3 yards of offense per game, including 160 yards rushing per contest. The Seahawks allowed 353.3 yards per game on defense as well. The Dallas Cowboys was the toast of the NFL in 2016 when they had the top record in the NFC behind a pair of rookies, quarterback Dak Prescott and running back Ezekiel Elliott. However, 2017 proved to be a nightmare as suspensions and turmoil surrounding the team denied them the opportunity to defend their division crown. The 2018 season was a different story, however, as Dallas would reclaim the NFC East Division with a 10-6 record. That included two big victories to close out the season, including a one point victory over the New York Giants on the final day to give them the crown. 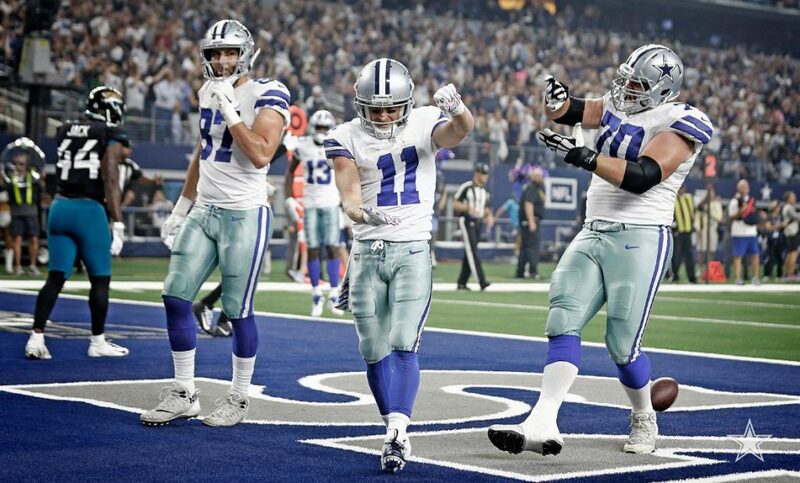 The Cowboys would win seven of their last eight games, including a huge victory over the New Orleans Saints. The Dallas Cowboys have also defeated the defending champion Philadelphia Eagles twice during that run. While Prescott showed flashes of his rookie season, finishing with 3885 yards passing and 22 touchdowns, it was the play of Elliott that was the difference maker. The third-year pro rushed for 1434 yards, but had a single season-low in touchdowns with just six. He also added 567 yards receiving, giving him 2001 total yards from scrimmage this year. Dallas average 21.2 points per game while allowing 20.3 points per contest. The offense average 343.9 yards per game while the defense allowed 329.3 per contest. The defense was especially stout against the run, allowing 94.6 yards per game rushing. 4-1 ATS in their last five games on the road. 1-5 ATS in their last six playoff games. 6-1 ATS in their last seven games against NFC teams. 3-8 ATS in their last 11 playoff games. 1-4 ATS in their last five playoff games at home. On many levels, this is a tough contest to call because the trends seem to be going against both teams. Neither of these teams has played well in January of late, as Seattle is 1-4 ATS in their last five games while Dallas is 1-5 in their last six January contests. Both teams have troublesome playoff histories recently, but both rallied late to earn a spot in the playoffs. Both offenses have playmakers that are difference makers in a game like this, but the deciding factor is likely to be experience. Dallas got a taste of the playoffs two seasons ago, but Seattle has one of the best quarterbacks in the NFL in Wilson who has an 8-4 record in the playoffs and nearly 3000 yards passing in his career. The total was originally set at 42.0 but has moved to 43.0. these two teams are averaging 48 points per contest combined but are only allowing 42 per game. The total has gone under in five of the last six meetings between these two teams and has gone under in five of the last six meetings in Dallas. Seattle beat Dallas earlier this season, 24-13. There is no doubt the defense is going to be the name of the game in this contest. This should keep the score low, so expect the Seattle Seahawks to win 20-17.